Welcome to The Brightest Day, a website that brings together news, info, and more for fans of all the Lantern Corps. Feel free to look around, check out our featured posts like the Saturday Showcase artwork feature, learn about the characters and comics with our Character Close-up and Classic Comic features (all under the Features link at the top of the page). And find news and info from us as well as from many of the major comic book sites all right here. Thank you and enjoy, The Brightest Day - News and Info On All The Lantern Corps For All The Lantern Fans! Green Lantern Vol 2 #8 The Challenge From 5700 A.D.
Green Lantern Vol 2 #15 Peril of the Yellow World! ​Green Lantern Vol 2 #30 The Tunnel Through Time! 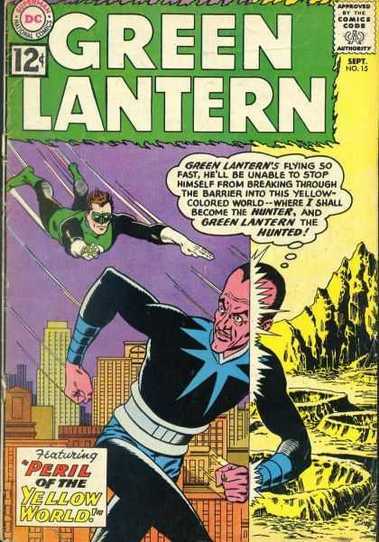 ​Green Lantern Vol 2 #24 The Shark That Hunted Human Prey!